We took a limo to Seagate’s display at the Vdara hotel this year. 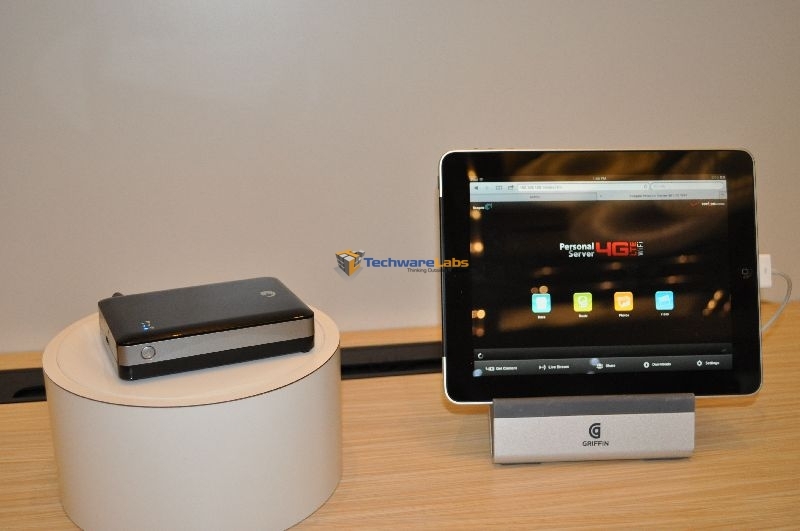 There we saw Seagate’s new lineup for 2012 along with a cool concept device. Here are the results of our adventure. First up is the GoFlex Satellite, winner of a design and engineering showcase award. 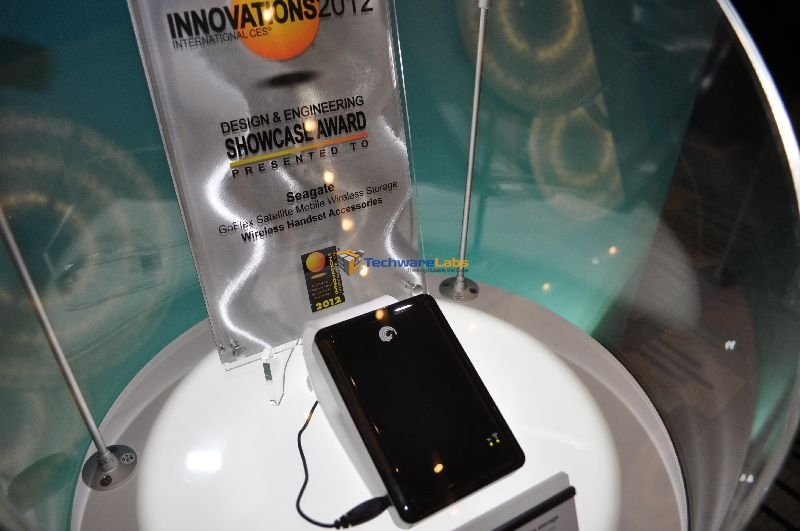 While this product itself isn’t brand new, the firmware that Seagate showed us is. One of the big complaints that GoFlex Satellite users had was that once they were connected to the hard drive, they didn’t have internet access. 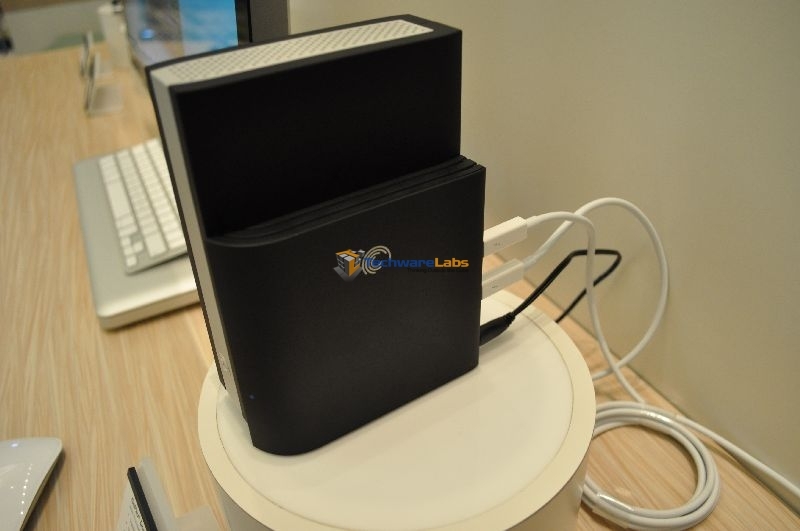 Seagate listened to these customers and made the GoFlex Satellite able to connect to a wireless network and pass through an internet connection to the connected device(s). Another new feature is the updated buffering system. 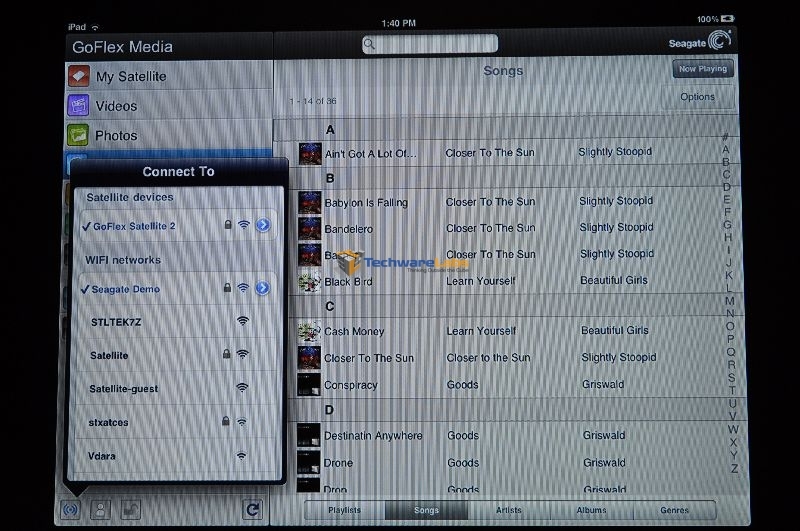 The GoFlex Satellite will be able to buffer media to the connected devices and then spin down the drive when the buffering is complete. This will extend the battery life of the GoFlex Satellite from about 5 hours to about 9 hours. A 4 hour battery life extension from a firmware update? Not too shabby. 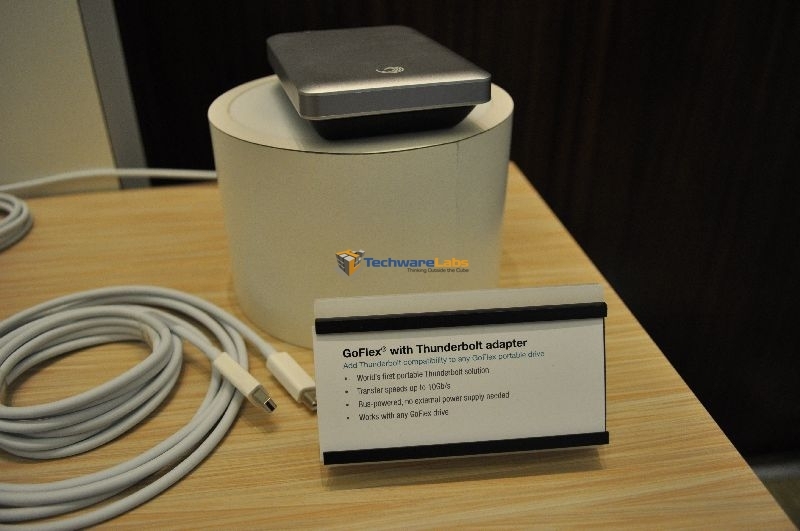 The second new thing we looked at is the new Thunderbolt adapters for the GoFlex line of drives. The new adapters will work with any of the drives in the GoFlex line, and will allow users to utilize the full speed of their external drive, instead of being limited by their bus interface. 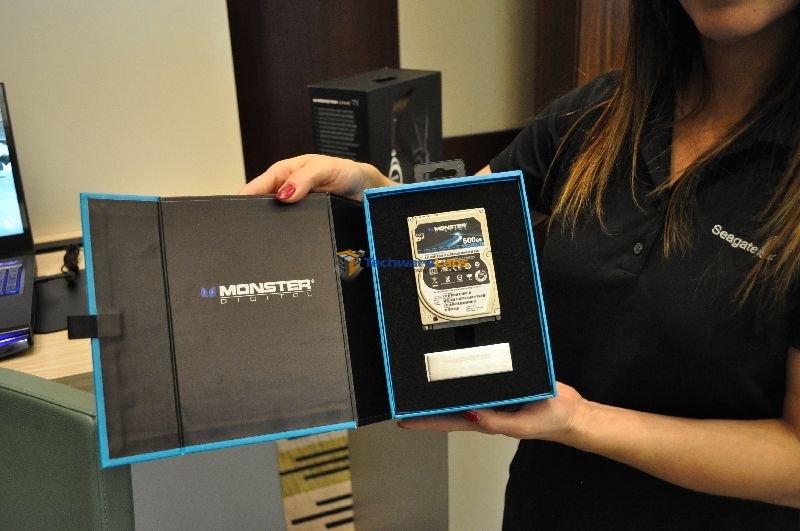 The last new product scheduled for 2012 was the Monster Digital branded Momentus XT hybrid hard drive. 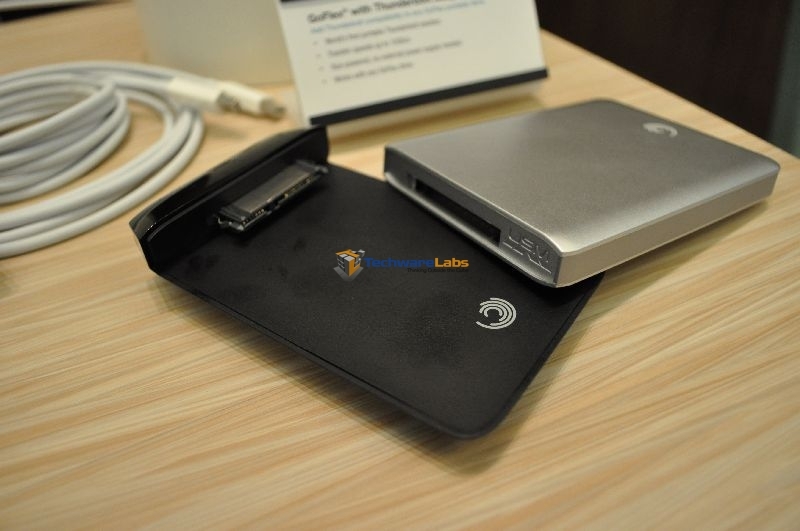 The Monster branded drive comes with a cool SATA III to USB 3.0 adapter, along with a 3.5 inch mounting bracket if you want to put it in something other than a laptop. 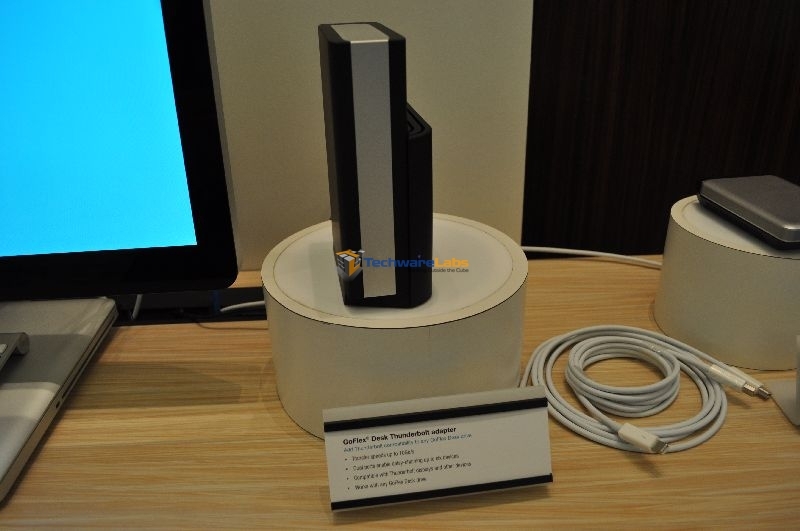 One last thing that we got to see was a concept for a new line of GoFlex Satellite external drives. 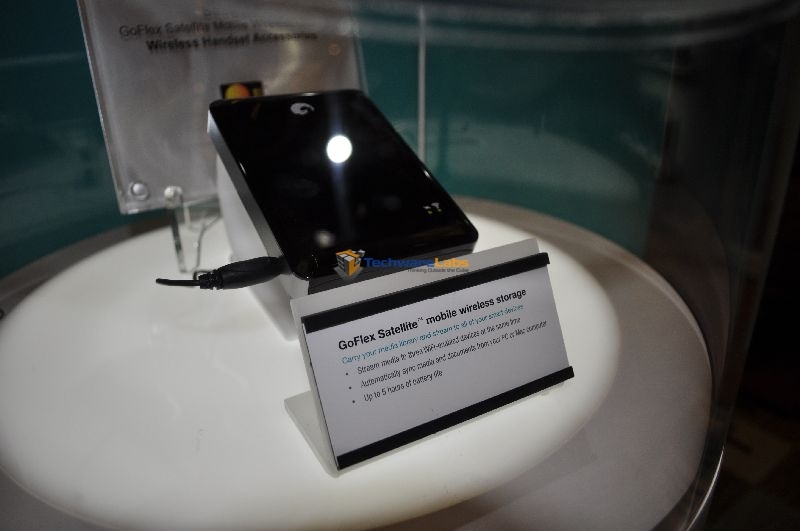 This version has an LTE chip for use on Verizon’s network. This will allow you to have a mobile hotspot that you can back up files to. 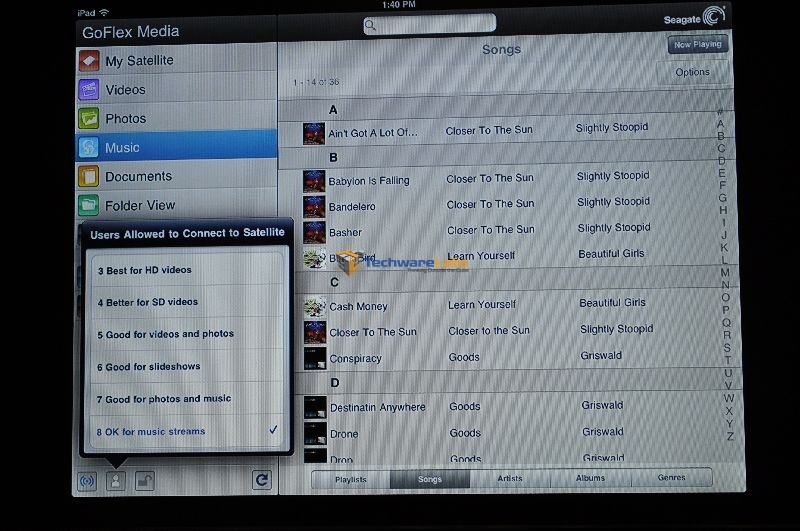 There are a few other software features that we can’t get into, but let me tell you that they are awesome. Details are still scant as to whether or not Seagate will bring this product into development, or if it will just remain a cool R&D project. If it does go to retail, you can bet that we will be there to review it. Enter email address to receive reviews via email! We will not share your info! URL in your location bar onto the “House” icon in your toolbar. Internet Explorer: From the toolbar click “Tools” then scroll down and click “Internet Options” Now in the “Home page” box type http://www.techwarelabs.com ,click OK at the bottom of the box. Safari: click “Preferences” from the navigation toolbar. Type http://www.techwarelabs.com in the section labeled Home Page on the main window of the Preferences dialog. Chrome: Click the wrench icon on the browser toolbar. Mac users: If you don’t see the wrench icon, go to the menu bar at the top of your screen and click Chrome. Now Select “Options” (Preferences on a Mac; Settings on Chrome OS). home page through the preferences of your browser.